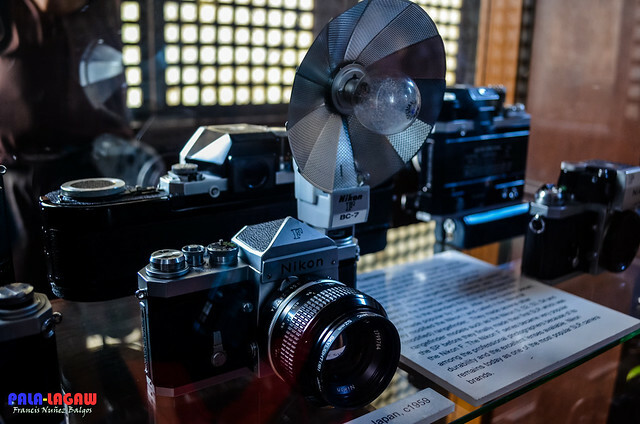 The Philippines First camera museum, a Bahay na Bato neglected ancestral house that became a gallery to showcase rare vintage Camera's. By this time, after looking inside some of the Old Ancestral Houses in the Heritage town of Taal Batangas, we had our fill of them. Galleria de Taal proved to be different, because it doesn't enshrine people who are long dead. 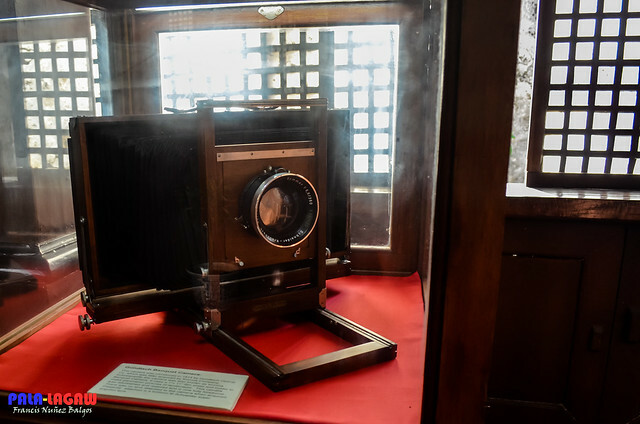 We didn't choke on historic information that we will soon forget, instead we feasted our eyes on some of the rarest camera's, restored and glorified in their pedestal. We even had a glimpse of the most expensive camera this gallery had, which is in the first photo shown above, cast out from a body of 24K pure gold. Makes me glad I had Nikon Camera slung on my neck. This house was restored to its original splendor by the grandson of the first owner, Manny Inumerable, the owner of Galleria de Taal. 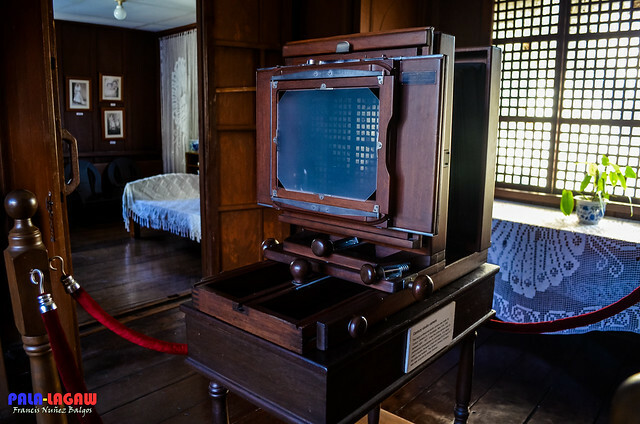 Like any Bahay na Bato houses, this has 2 floors, and the Gallery is on the 2nd floor, the camera's placed inside glass panels and pedestals, lighted not only by the sulfuric light of incandescence and fluorescence, but the Capiz shell windows give the olden vibe. Perfect set up for vintage cameras to be shown. 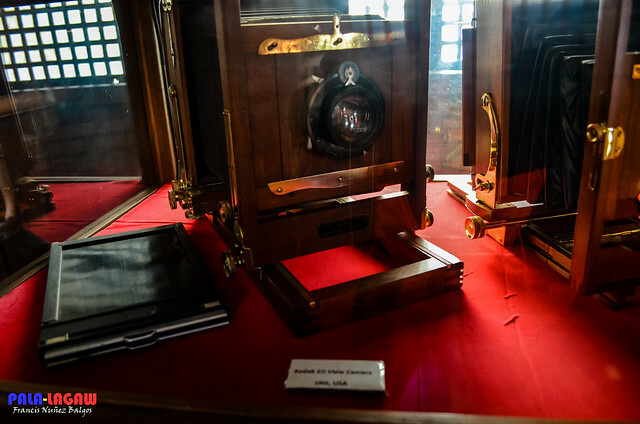 All over the gallery walls, hung old photographs in Glam Portraits and Urban Landscapes, this is not just a Gallery of Vintage Camera's as it is. The camera's, some may look decrepit, worn and old, they were all restored and are actually working cameras. It was fun to be surrounded by the forefathers of today's modern DSLR's, my own camera felt like long way off compared to these collections. Placed inside their protective glass panels, labeled by their history, and even a short description of the time that they were created makes me appreciate more that I was born into this time and age, that the art of photography of painting with light is for everyone to enjoy. The glass panels made it difficult to photograph these cameras, as glasses provide reflection adding to details that aren't needed in these photos. 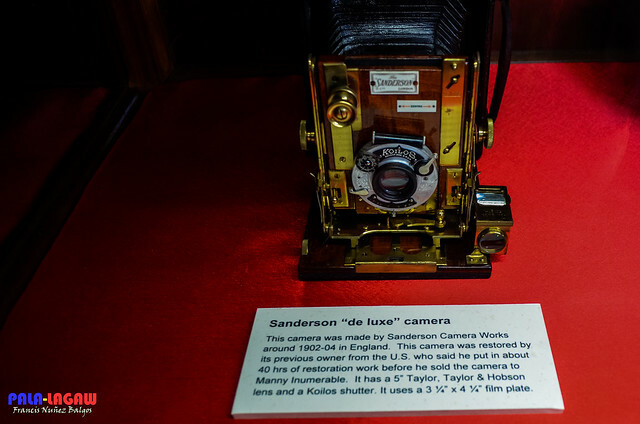 The gallery has a big collection of items, and probably much more to come as Mr Inumerable is still in the lookout for some of the rarest cameras around the world, makes us glad that these items weren't closed up for our generation to see. The gallery the oldest to the newest camera..
i really love the features of several old cameras. nice photography too. what camera are you using? If only could buy some of these vitage cameras.. hay! This is a must visit place for photographers and those who are in tune with heritage and history. The town of Taal in Batangas rivals that of Vigan for its rich heritage. You'll certainly get a glimpse of the lives of Ilustrados of the old. 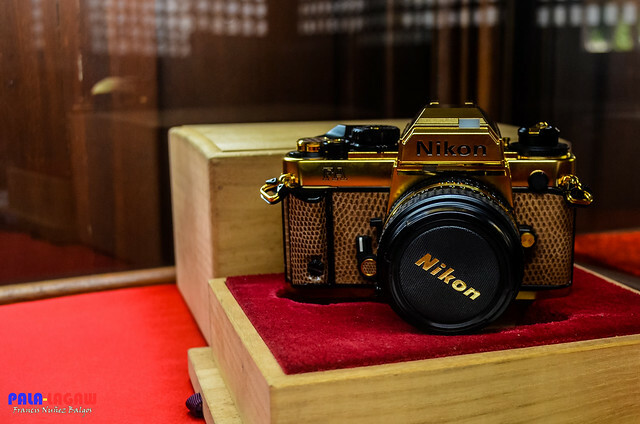 Awesome 24 karat gold Nikon camera! Galleria De Taal is really an interesting place to visit. How much is the entrance fee? This includes a guided tour. SO far, I think its the only Gallery of this type in the Country. And all of them are restored and working properly. Yeah! Not to mention that it is one of a kind and has the tagline as the most expensive camera in the world to this date. Why, the body itself is not just gold plated, it is of 24K Gold. Wow astig yung mga vintage camera! Galing buti napreserve pa to see by new generation. grabe! the one who have gold plated was cool! never seen some of the camera here and first time to heard and see that there's a camera museum also! I love all the photos! I would love to visit this place too. Vintage cams will never be forgotten and go out of style. Perfect for collection. Ah, I would love to see this, blame it on my genuine interest for anything vintage. These are very expensive cameras. My uncle's hobby is to buy and sell vintage camera parts from PH to SG and PH. Wow! I dudn't know that this place exists. 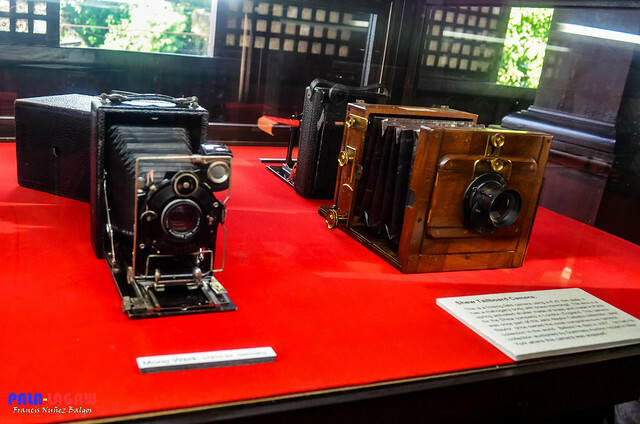 My photgrapher friends will surely love this camera museum.. Precious antiques! I think the market value of above collection is more than what we can imagine right now :). Great shots by the way.